Syaoran, Fai, Kurogane, and Mokona venture to the Hanshin Republic to find one of the missing pieces of Sakura’s memory, transformed into magically powerful feathers. There, Syaoran meets his “Kudan”: a fierce wolf-spirit whose fiery power mirrors Syaoran’s personal strength. But with foes like a pop idol who sings words of pain, Syaoran’s hunt for feathers is no child’s game! And even if he finds the feathers, will Sakura ever wake up from her magical sleep? And since Syaoran bargained away their relationship in a pact with a witch, can their love ever return to the way it was? This installment was a lot of fun to read and I breezed right through it!! Our odd group of travelers are still stuck on the same world and their battle raged on to find the feather. With the introduction of Kudan the action really took off and was quite fun to see pan out on the pages. The fighting was in some ways unique to the manga, literally words of pain, while in other ways had fun with the more traditional fighting seen from Japan, like the impressive (or silly) names of the attacker’s special moves. It was a lot of fun seeing the characters move around the oddly entertaining world, running into all sorts of interesting characters along the way. This volume is pack full of action and creativity, and has a few underlining messages if you look into it hard enough. Just like with the last volume, this volume had a section on past works by CLAMP and translation notes, explaining some of the references and things that might have confused the reader. I absolutely love reading those sections because they’re so informative! 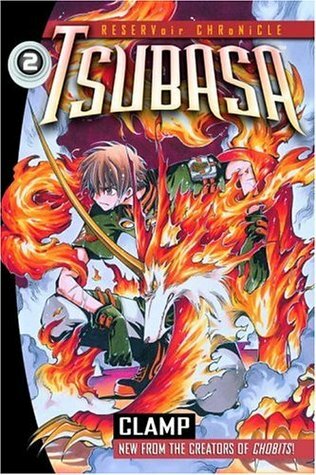 I tried reading this manga from a friend of mine when I was much younger, and didn’t really remember much about it other than I thought it was cool. However, after reading the first few volumes I could never find the other ones, and the story fell by the wayside of my memories. It wasn’t until this past Christmas that I found the series again in a used bookstore and I snatched it up right away. I’ve read several manga since I first read this story, so I was excited to read this again and see if my perspective of this story has changed. The first volume so far is fantastic! It’s funny to me what I remembered of the story and what I didn’t, but for sure I remembered the characters. They’re all so different, in appearance and character, that it’s hard to forget who is who and what they did in the story. In this volume there is a lot of set up. 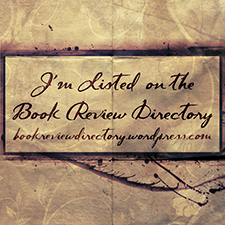 You get to read about the reasons for the characters’ journeys and their motives, for the most part. There’s also a lot of foundation work in this volume other than the set up for the main characters. CLAMP does a good job of showing the readers just how this story will go, how the characters will travel, and gives just a taste of what they’re up against. Readers also get just a glimpse of how large this universe will be and how it will function and shape around our main group of characters. If you have read CLAMP’s other series, like xxxHOLiC, Cardcaptor Sakura, or Chobits, you’ll get a happy little surprise! 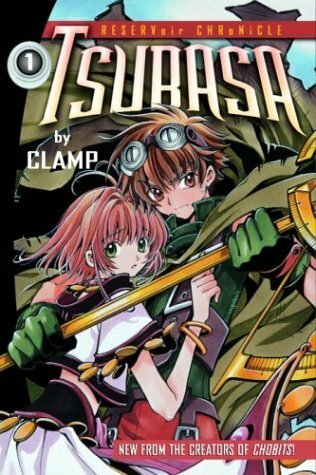 CLAMP reuses a lot of their bigger characters from these series and others in this story as well. Some of the characters are exactly the same as from their original stories, they mostly come from xxHOLiC, others look the same but have different personalities than what you’ve read in their stories. For instance, both Sakura and Syaoran are characters from Cardcapture Sakura, but only one of them is completely different in Tsubasa. I haven’t read the other stories by CLAMP, but I know enough about their work that I can still recognize some of the reused characters, and sometimes it felt like a little bit of an EyeSpy game. So for people that were fans of CLAMP’s other works, this story may be something you’re interested in. One last thing. At the end of this volume I found an interesting section that I haven’t seen in a lot of manga. There was a section that spoke about one of CLAMP’s previous works. It gave a short little history of the story, who the characters were and what happened to them as the series progressed and finally ended. In this section, it also talked about how these characters fit into the universe of Tsubasa and how they might’ve changed. Beyond this section was another one, and it talked about some of the references made in the book that the reader might not have understood or picked up on. There was also a short list of characters that you meet in this volume that show up in CLAMP’s other works, and you get some trivia about the characters in the original stories and how they might’ve changed for this one. Overall, this first volume was a lot of fun for a setup piece. There was a lot of information, but not too much for the reader to forget later, just enough to give you some light to go by. While a lot happens in this volume, there isn’t a lot of action, just mostly character introduction and setting the stage for the story. You don’t have to read CLAMP’s other works to understand Tsubaba, but it is suggested to read xxHOLiC if you want to see the story from a different perspective. After I read this series, I might just do that myself!